I was frustrated about having to repair a flat tire every hour or so and I was concerned that I might run out of patches. I needed to get to a bike shop soon. There was a Walmart 12 miles away in Rome. Could I make it? Long story short I made it. I bought three inner tubes, two patch kits, a floor pump, a tire, and a file in case I needed to convert my presta rim to schrader. 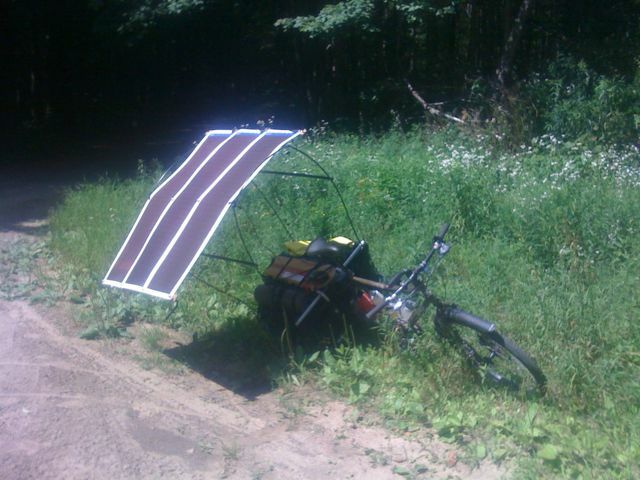 Any kook can slap a solar panel on a bicycle and call it a solar bike. How am I any different? Mainly in my lack of ambition. I don’t want to create a ground-breaking product that will rocket me into the halls of fame. I just want to charge my battery however much I can within my budget. I just want to do the experiment to find out if adding a solar panel to my bike is worth the effort and expense. 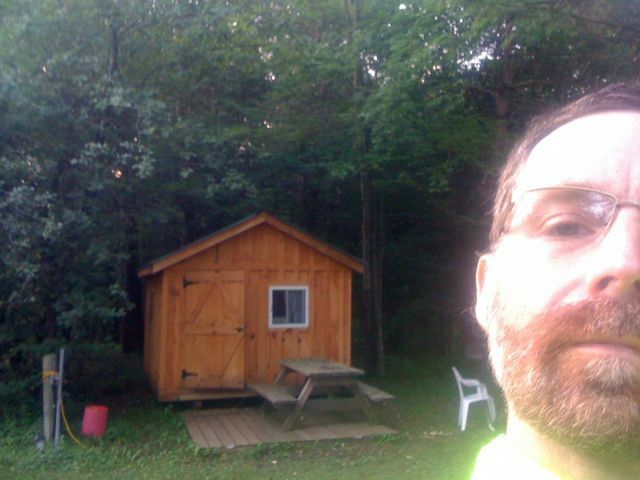 And if it is, I want to post instructions on my blog here so others can follow in my footsteps. People see my bike and they expect that the solar panels power the bike completely. The reality of course is that the solar panels are an accessory to an accessory. First of all the electric assist is an accessory to you the bicyclist who is pedaling. Secondly the solar panels are an accessory to the electric assist. The solar panels supplement the electric assist’s batteries in those few instances where you can’t get to a power outlet. So despite the panels’ physical prominence on my bike and in our imaginations, currently they have only a minor role in actually making the bike go forward. Not insignificant, but minor. What would it take to give the panels a major role? At least a four-fold increase in power. Currently the panels produce about 25 Wh per hour. 100 Wh per hour would be very useful for a long trip since it takes me about an hour to use up 100 Wh. That means I could accumulate energy about as fast as I use it. I could go indefinitely (on a sunny day). I think it’s entirely possible to get a four-fold increase with existing technology. Just adding more panels is a start (perhaps as a canopy over the driver). And it may be possible to make the panels more efficient by adding a charge controller with sophisticated electronics (such as Power Point Tracking). Bicyclists out there may be wondering “If the power you get from the solar panel is so small, why not just take all that crap off your bike and pedal the damn thing?” This is a very good question that has been nagging at me throughout the ordeals of this trip. I have to keep in mind that this is just a beginning. The point is not to just reach my destination here and now. The point is to pioneer a new type of vehicle. It’s not a solar car–it has pedals so that its human can supplement its power if necessary. Is it a bike? Whatever it is, it is a vehicle that is so lightweight, narrow and slow that even the meager power of the sun can power it.